Apple doesn’t issue apologies lightly. And the company doesn’t like missing an opportunity to make money. However, Apple ended 2017 offering a begrudging apology, and reducing the price of replacement iPhone batteries. Bringing Batterygate to a satisfying conclusion. In December 2017, Apple finally admitted to what many people had suspected for a long time. Namely, that the company was slowing down old iPhones Apple Admits to Slowing Down Old iPhones Apple Admits to Slowing Down Old iPhones Apple has confirmed what many people have suspected for a while... that it slows down old iPhones on purpose. However, this isn't for the reasons you might be assuming. Read More . This was intentional, not to force users to upgrade, but to prevent old iPhones from shutting down when they were overworked. While Apple’s intentions were pure, some users weren’t happy with what they saw as a feature intended to reduce performance. Especially as Apple chose not to inform users of the feature, let alone give them control over its deployment. And Apple has now responded to the backlash. The company then explains how old batteries affect performance, and further explains the software update it added to iOS 10.2.1 to help prevent iPhones shutting down unexpectedly. Apple then details the things it’s doing to help address customers’ concerns over older iPhones. The big news is Apple is reducing the price of replacing an out-of-warranty iPhone battery from $79 to $29. This is available worldwide to “anyone with an iPhone 6 or later” until December 2018. And who knows, maybe Apple will permanently reduce the price as a gesture of goodwill. Apple is also promising to release an iOS update in early 2018 that gives users “more visibility into the health of their iPhone’s battery”. Which is all most people annoyed by the news Apple was slowing down older iPhones really wanted. Because being upfront with customers is the key. While the apology comes across as passive aggressive, any apology is better than no apology. And reducing the costs associated with replacing an iPhone battery is a welcome resolution to the problem. Especially if it means you can start using your old iPhone in creative ways 10 Creative Ways to Use Your Old Smartphone 10 Creative Ways to Use Your Old Smartphone Why sell or throw away your old smartphone when there are so many ways for you to reuse it? Some of those reuses might be more creative than you thought. Here are some ideas. Read More . What do you think of Apple’s apology over Batterygate? Do you appreciate Apple lowering the price of replacement batteries for older iPhones? Will you be taking Apple up on its offer? Or are you likely to just buy a new iPhone instead? Please let us know in the comments below! The MacBook Pro is blessed with the same feature. Here: 3 years old, 700 battery charges. Dead slow - even on power supply, "Battery to be maintained". Since 1992 we bought >20 Macs and did not see such a poor performance. Apple acts always arrogant - customers should stop accepting this. This is a good step by Apple. 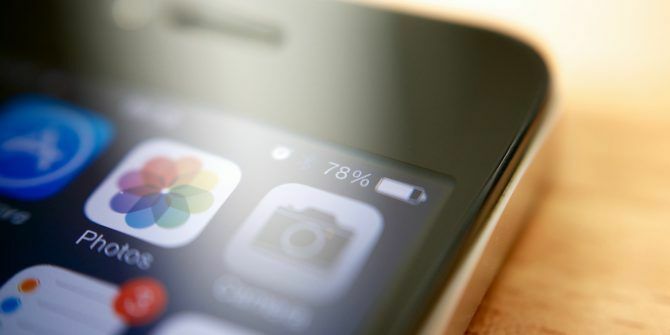 Many of Apple users suffering from battery drain issue. So you can replace the battery, will they upgrade the software to restore the speed of the iphone, or will it remain crippled? You're asking the big questions and this is the real issue. Why would a battery replacement fix what the software update broke? It won't. iPhones are still going to drain faster if they have been updated and are not on the latest hardware. Actually, in theory (based on their explanation) it would. Because the battery is not in optimal shape, they basically underclock the phone to ensure that it is still functioning. The new battery would allow it to reach normal stock clock speeds and get that performance gain. If that's the way that it will actually work out? Who knows. Maybe it's just a money grab - a lot of people going to spend $29, I'd imagine.